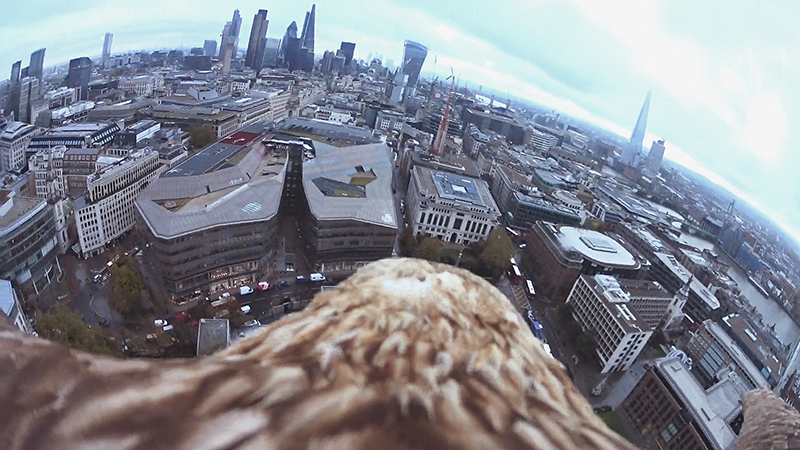 The first film has just gone live for a celebration signifying 50 years of the IUCN Red List of Endangered and Threatened Species. 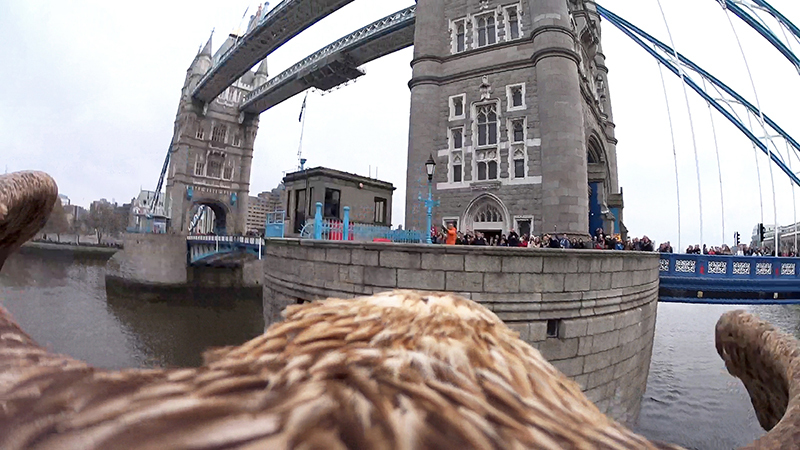 A Sony HDR-AZ1VR Action Cam was safely attached to the back of an endangered eagle (named Victor), recording a first-person view of its soaring journey from City Hall to Tower Bridge. More videos are set to be added to the channel over the next few days. 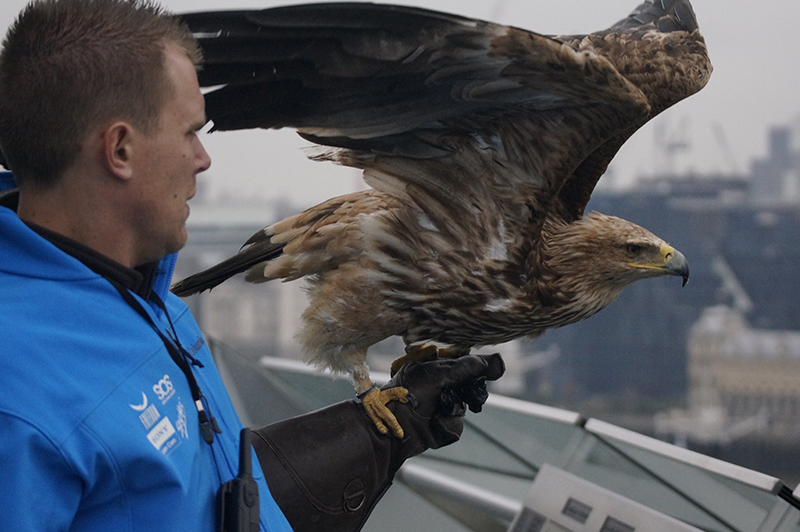 The two eagles to feature in the videos are an Imperial Eagle and a White Tailed Eagle, both of which are listed as endangered on the IUCN Red List. The flight is a joint venture from Here Today… and FREEDOM Foundation, aiming to highlight the importance of humanity’s role in caring for endangered species. A major international art exhibition titled Here Today… will open in London’s Old Sorting Office on new Oxford Street as part of the campaign, including work from artist Andy Warhol. The Sony HDR-AZ1VR Action Cam was announced back in September, and is equipped with an Exmor R CMOS sensor, a Zeiss Tessar lens and advanced SteadyShot image stabilisation. 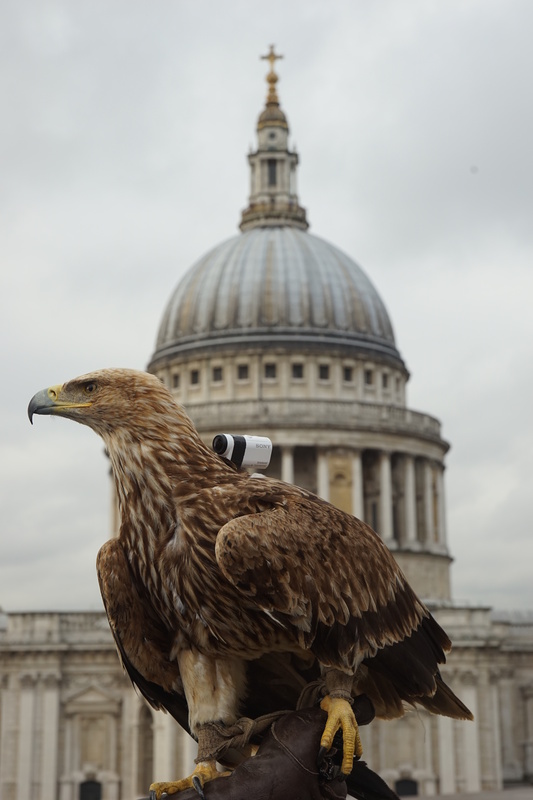 It also allows for live internet video streaming via USTREAM and weighs a slender 63g – a good thing too considering it was strapped to the back of an eagle.